Office Space - Ashington, Northumberland. Based in Ashington, this professional business centre comprises over 82,000 square feet of space, which is spread across 4.5 acres . The centre's variety of work spaces make it a good option for any size and type of business; big or large. 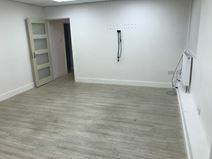 Recently refurbished to a high standard, the centre also offers flexible terms. The centre is only a couple of minutes drive from Ashington town centre, with Newcastle city centre around half an hour drive.